rarely in such a position of power over natural resources. An array of governance failures typically intervenes: lack of legal ownership and access to ecosystems, political marginalization, and exclusion from the decisions that affect how these ecosystems are managed. Without addressing these failures, there is little chance of using the economic potential of ecosystems for reducing poverty. 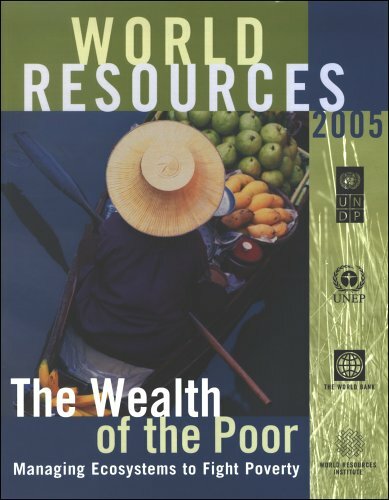 World Resources 2005 details the steps necessary to empower the poor to use ecosystems both wisely and for wealth. Using examples and case studies, the report traces a route to greater environmental income. Working at the cutting edge of sustainable development, it lays out the governance changes necessary to give the poor the legal, financial, and management capacity to use nature for wealth creation without depleting their fragile resource base. This new edition also includes a collection of national statistics and interpretive graphics on current environmental, social, and economic trends in more than 150countries.